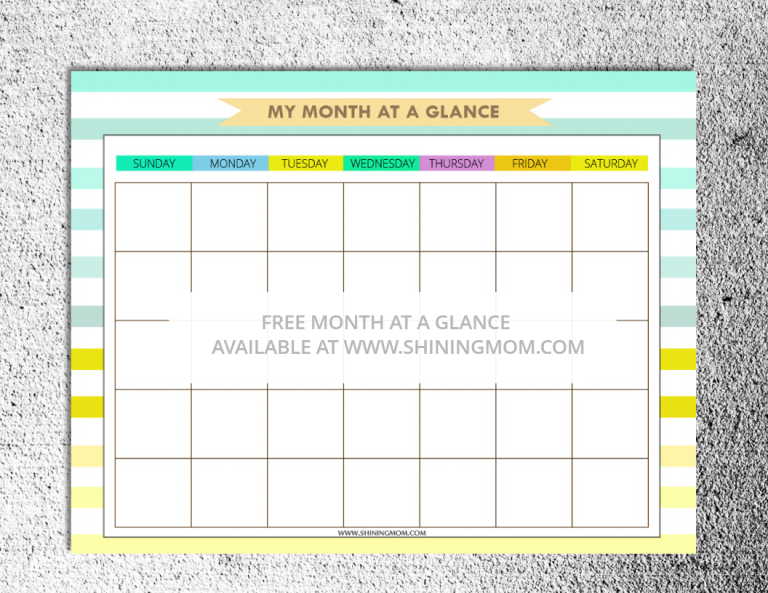 FREE Monthly PLANNER for March! You’ve just landed on the most-read segment of the blog: the Happy Freebie Monday! 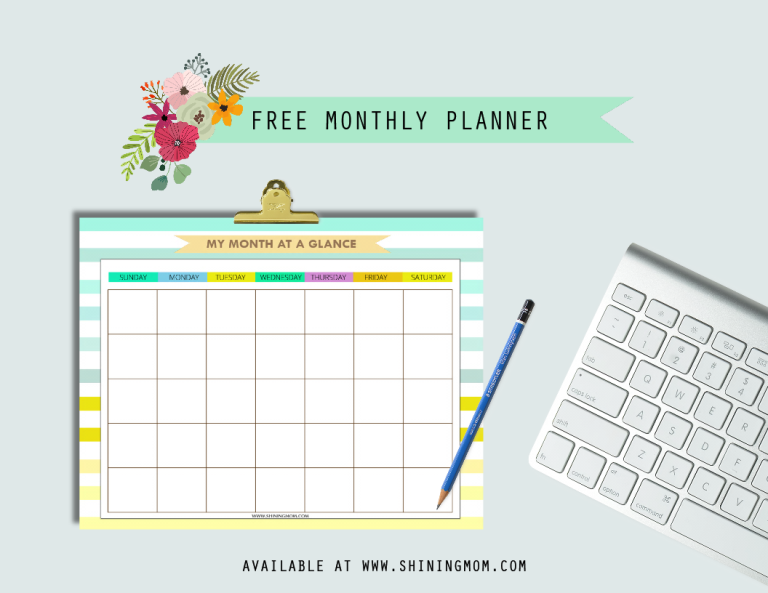 Today, I am delightfully treating you to an ultra pretty and cheery free monthly planner that you can save and use outright! Print and enjoy these freshly made planners that you can use for this month of March! That’s right, sweet friends! Just like the previous month, I am set to release another new planner for you to use this March! Since I believe it’s nice to have a fresh planner design each month, I commit to deliver a free planner monthly! So if you’re bored with the drab planner you have, be sure to always come here to get your freshly deigned planner which is usually released right before the month starts, on a Monday, of course! And, I am also inviting you to come back weekly as well to check out our new freebie surprises plus some heartwarming motherhood stories, party planning tips and more! I am excited once again to show you Shining Mom’s latest planner design for the month. 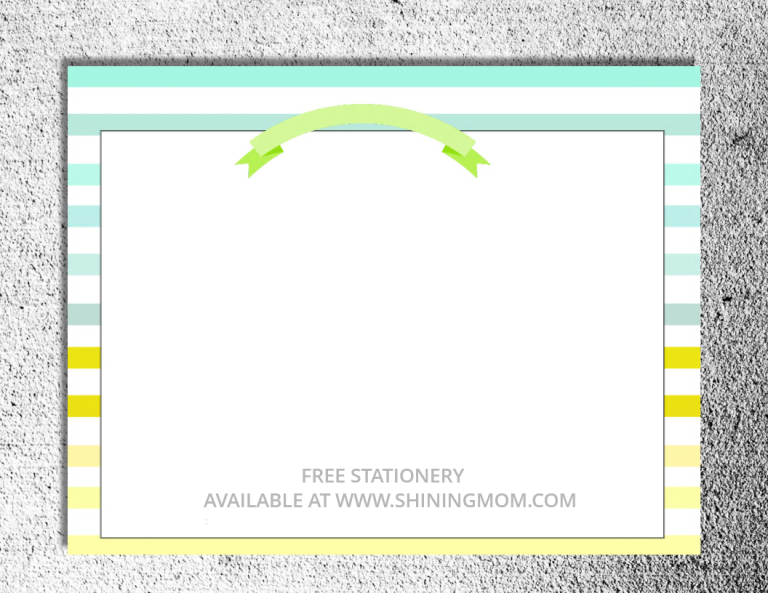 This time, the free planner set comes with stripey background in pops of happy colours. Okay, let’s all get ready for the quick planner tour! Well, this planner layout is a new one. It comes it plain boxes because a weekly planning sheet is more functional this way, I so think! It allows you to design your day by deciding how you’d like to run it! You can divide (or not) each daily column into three sections for your morning, afternoon or evening to dos. You may also opt to just scribble your day-long activities in a snap by simply itemizing them in bullets. How are you going to use it? Well, it’s really up to you! 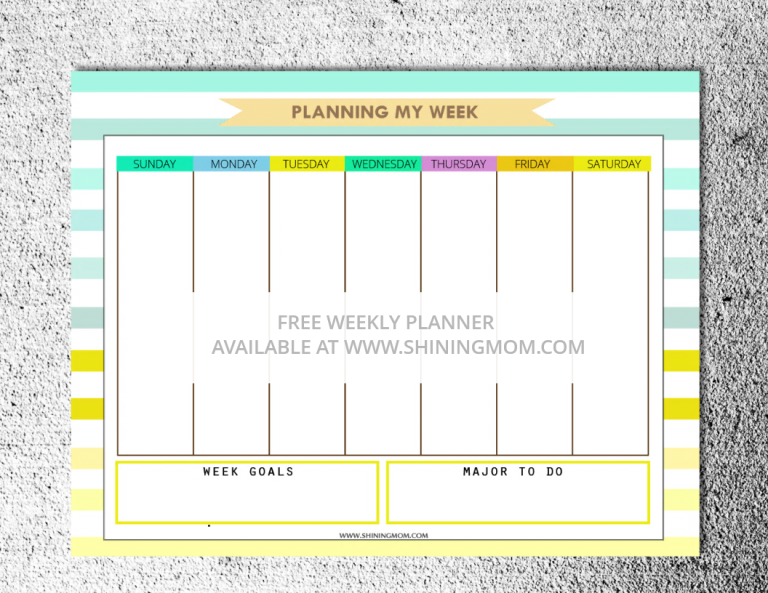 This free weekly planner is deigned to give you the power to design your own week! I am the type of planner user who really values the importance of a month-at-a-glance page. This kind of page allows me to see my major to do’s for particular days of the month. It also allows me to gauge if I am right on track to the tasks I have scheduled. Because I know this kind of sheet will make your month more blissful and productive, I’ve included it in this set! It’s not dated so you can use it any time of the year! This free monthly planner also comes with a bonus stationery page. You can use this as a printable stationery to write your friends, you can have this as a recipe card, you can use this as a vision board…. ahhh, the possibilities are endless! You can write title onto the pretty ribbon over there! This sheet has so much potential for your creativity! A scrapbook book sheet for this month… does that ring the bell, too? So there. Your free monthly planner for the month of March (which you can also use for any other month of the year since it is not dated!). How do you like it? Should you wish to get a copy, I am happily sharing it to you right over here! Please note that the page is to be printed onto letter-sized paper! P.S. We have awesome set of free calendars for March. Do not miss to get a copy! Happy Freebie Monday and let’s all have an amazing March, dear friends!